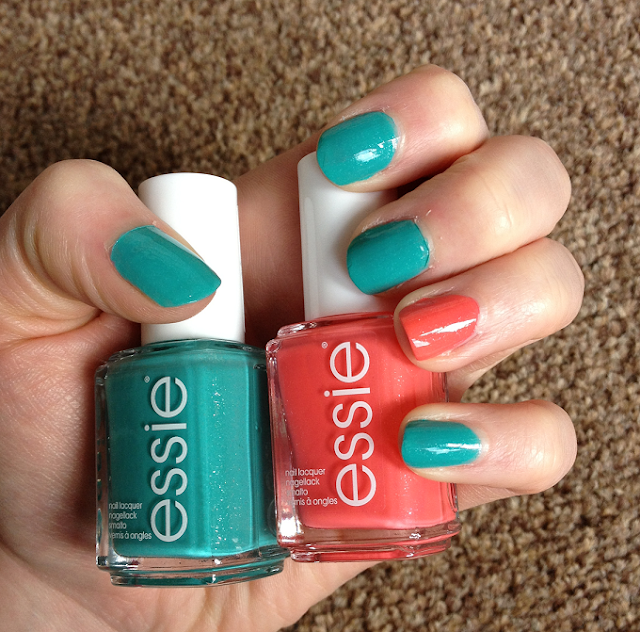 I spotted the Essie Summer 2013 collection in Boots today and I was very impressed with all of the colours. I narrowed my choices down to just two of the six polishes and managed to get them on a buy one get one half price deal. The polishes I chose are Naughty Nautical; a beautiful turquoise with silver shimmer and Sunday Funday; tangerine with silver shimmer. My swatches are with two coats of each colour. 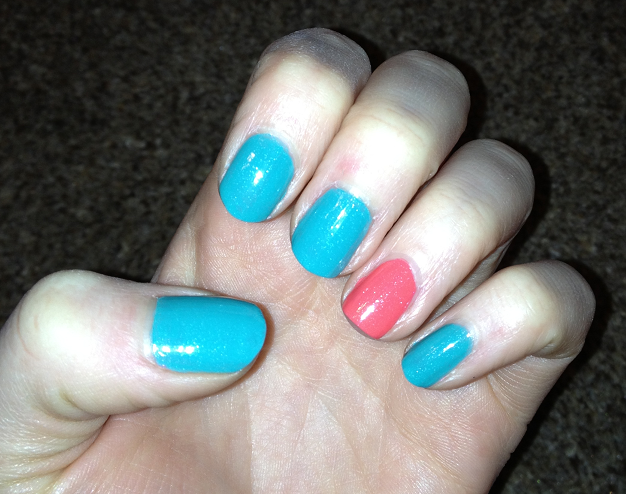 I absolutely love these shades and will be wearing them a lot this Summer! 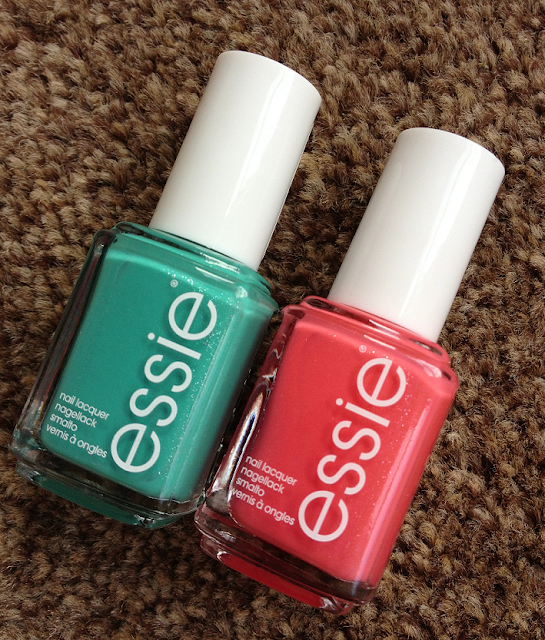 If you want to see the rest of the colours in this collection, check out the Essie website here. Also in Boots for £12.99 there was a set containing mini versions of Naughty Nautical, Sunday Funday and Full Steam Ahead (lilac with silver shimmer). I was super tempted to buy this but I wasn't sure what the brushes are like on the minis. I love the nice wide brushes on the regular size as they are nice and easy to use. Which are your favourites in this collection? Have you bought any yet? I know i have already said on instagram but i love this collection.